At last Monday’s town council meeting, we were given a brief report by Shawn Riley, of the Evesham Market Town Partnership, about the town centre retail areas. The MTP has recently gone to the effort and expense of obtaining a lot of useful data about Evesham’s retail areas and how that compares to other, similar towns around the country. As a data nerd myself, I found it highly interesting. Here are some of the key findings. 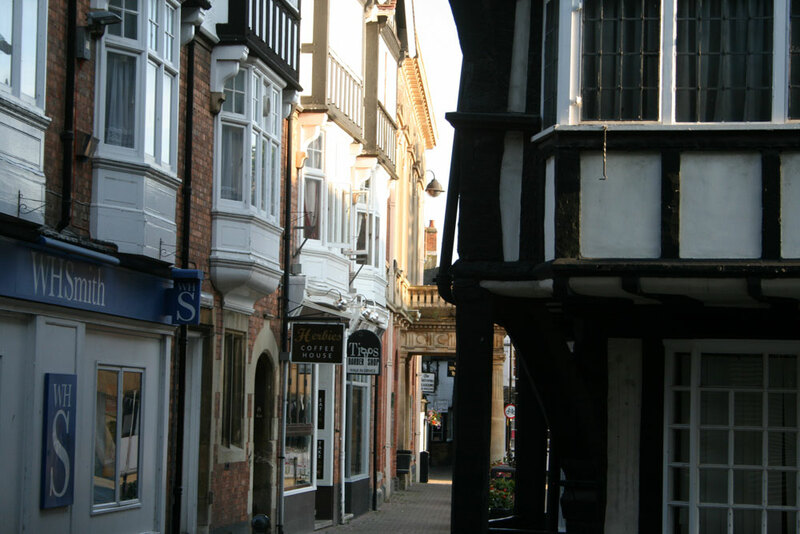 Probably one of the most important things to note is that the vacancy rate – the proportion of empty shops – in the town centre, excluding the Riverside Centre is, at 13.2%, a little worse than the UK average of 12%. But it’s significantly better than the regional average of 15.3%. And, overall, Evesham has a higher proportion of independent shops than the national average (71% in Evesham compared to 66% nationally). On the face of it, that looks like reasonably good news. Where it goes pear-shaped is when we add the Riverside Centre into the equation. The Riverside Centre has a whopping vacancy rate of 47.2% – that’s nearly half empty. And that drags down the town’s overall vacancy rate to 16.2%, which is not only worse than the national average but worse than the regional average as well. So, what’s the problem? Well, we don’t really have too many shops overall. There are 358 retail units in Evesham town centre (that’s excluding the edge of town retail parks), which gives us an average population-to-shop ratio of around 55. That’s in the same ballpark as Pershore (57 people per shop) and Stratford-upon-Avon (56 people per shop), a little higher than Tewkesbury (47 people per shop) and a lot lower than Kidderminster (170 people per shop). But Kidderminster is the regional sore thumb, with an overall vacancy rate of 19.5% – we’re doing much better than that. We also have a lot more shops than Droitwich, despite being very similar sized towns. But I suspect that their retail centre suffers from being much closer to Worcester than we are (and Kidderminster is in easy reach of both Worcester and Birmingham, making it much harder for retailers there). Droitwich doesn’t have many shops, but it has a lower vacancy rate, suggesting that it’s never been a particularly retail-heavy town. Looking at the Riverside Centre in detail, a number of things become obvious. One is that it has very much lower proportion of independent retailers, at only 33%. And the national retailers that it contains are almost all doing badly at a national level. We already know, for example, that Burton won’t be renewing their lease when it expires. But looking at their national figures, that’s not surprising – they’re in close to free fall across the country at the moment. Carphone Warehouse are also closing shops, as are New Look, Superdrug and H Samuel. Only three of the Riverside Centre’s chains are showing significant national growth, and one of those is one of the most recent newcomers, Sports Direct. So the Riverside Centre’s problems are certainly not all related to Evesham. Having originally been targetted at national brands, the centre is now suffering along with them. Another problem is that, despite being aimed at national chains, the Riverside Centre’s units are mostly too small for them. That’s why M&S moved out, and didn’t return to the town until something more suitable at the Worcester Road retail park became available. There are other, more local, issues, of course. The lack of access to the Riverside Centre car park from the centre and north of the town is certainly a major factor. But it’s hard to escape the conclusion that the Riverside Centre’s problems are mostly of its own making: badly designed in the first place, and dependent on a dwindling pool of national brands that can use its shops. It also means that fixing it is not easy, and for the most part – with the exception of the access problem, which really does need to be sorted out – beyond anything that can be done by local government. Leaving aside the Riverside Centre for the moment, though, what about the rest of the town? The data obtained by the MTP does give us some clues. Firstly, a brief diversion here into explaining terminology. Retailers can, broadly speaking, be divided into four main categories: Comparison, Convenience, Service and Leisure. Taking those in reverse order, Leisure is fairly easy to understand: it means things like cafes, pubs, restaurants, entertainment (including cinemas) and stuff like that. Service is also mostly self-explanatory: it includes estate agents, travel agents, banks and other financial institutions, hairdressers, laundrettes and the such like. Convenience shops are those which people tend to use on a regular basis for repeated supplies of much the same thing. Supermarkets (of all sizes) are the obvious example, but other food retailers such as butchers and bakers also fall into this category, as do newsagents and petrol stations. Comparison is probably the hardest term to explain. In essence, what it means is shops that sell products that you only buy when you need them – things like TVs, washing machines, bedding, computers, clothes and shoes. Unlike convenience products, where you generally know what you’ll be buying before you go to the shop, comparison products are usually selected after comparing different versions of the same thing – either within the same shop or at different shops – before buying. Hence the name. Nationally, comparison stores are suffering far more badly than the other three sectors. And a major reason is competition from the Internet. You can’t go to the pub on the Internet, or get a haircut on the Internet. You can buy food on the Internet, but the biggest suppliers of that are the supermarkets who are not competing with themselves. And independent grocers, bakers, butchers etc offer the ability to select and purchase fresh food in a way that a web-based retailer cannot (yet) match. The service sector is generally flat nationally, a reflection of the fact that some aspects of it (such as banking and travel agents) can easily be done online, while others (such as hairdressing) simply can’t. Convenience shops, on the other hand, are generally showing growth across the UK, while leisure is soaring ahead. All of the twenty fastest growing chains in the UK are in the leisure sector, and all of them supply food and drink in one way or another. What that means for Evesham is that town centre retail growth is likely to come predominantly from the convenience and leisure sectors, with leisure being the largest contributor. And, in fact, we’re already seeing that to some extent. Evesham’s leisure vacancy rate is only 5.4%, which is not only much better than the retail average for the town but better than the national average for the leisure sector. The term “cafe culture” is probably over-used, but it’s clear that the future of traditional town centres like Evesham lies in a thriving leisure market. Convenience and leisure shops are also footfall generators; if you’re going into the town centre every day to get your lunch or to the butchers every week for bacon then you’ll be passing other shops and may be attracted into them. Finally, one other point is worth noting. When we compare Evesham with similar sized towns across the country, then one particular statistic stands out. Irrespective of where a town is located, those which have a Waitrose not only have a lower vacancy rate than their regional average but also a lower rate than the national average. I’m a savvy enough statistician to know that correlation does not necessarily imply causality, but this is, nonetheless, significant. It doesn’t actually matter whether a Waitrose attracts other retailers (the so-called “Waitrose effect”), or whether Waitrose’s management are simply good at picking locations that are on the up (or even if there’s some entirely different cause which attracts both Waitrose and other retailers). What matters is that town centres which have a Waitrose are, statistically, far more likely to be successful than those which do not. So the fact that Waitrose are still on course to open a new store in Evesham is very welcome news.